The Hannover spotlight is suitable for the diffused lighting of buildings and for indoor and outdoor environments. When mounted onto a wall, it can illuminate facades, ceilings, beams, vaults and walls, as well as floors, open spaces and entrance halls. 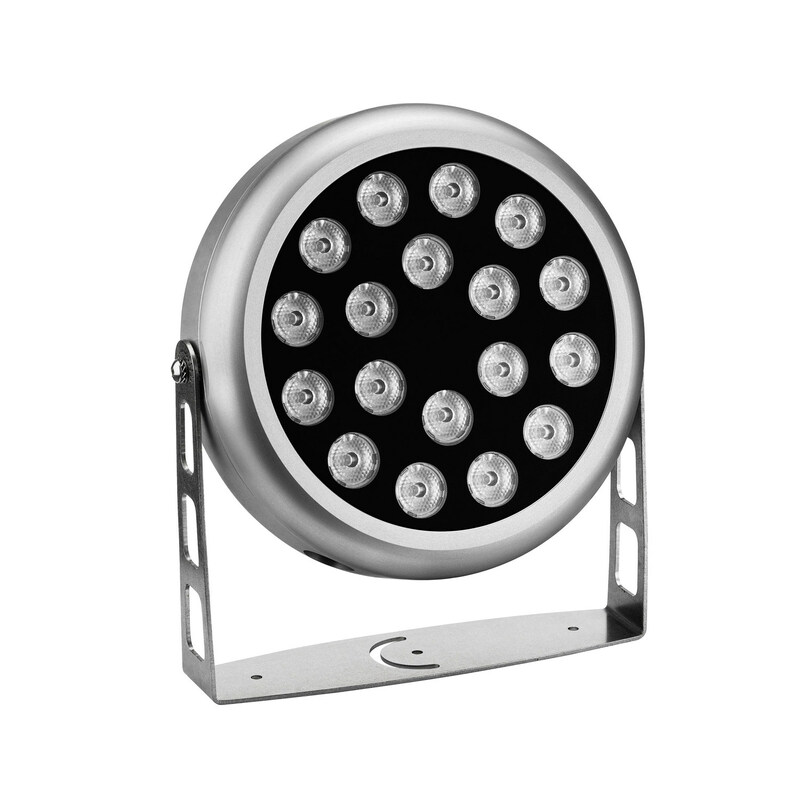 Through different configurations of the secondary optics, it can be used as floodlight or spotlight, as a washer and wall washer. Body in anodized corrosion-resistant aluminium. Extra-clear safety glass with a thickness of 6mm, ceramic-coated rear. Anti-condensation compensation valve. Adjustable from 0° to 105° with graduated bracket. Bracket rotatable by 180°. Electrical connection with screw connector. High power LED module on printed circuit board with metal base. Electronic components, dimmable with external dimmer. Highly efficient secondary lens.